Louisville, Kentucky startup WeatherCheck was selected from a pool of 12,000 competitors to become part of the Y Combinator’s winter 2019 startup school cohort, the first company from Kentucky to earn the distinction. WeatherCheck uses tech and statistical models to determine where hail damage occurred so that homeowners can start the repair process in a timely manner and insurers don’t have to rely on homeowners to discover hail damage months or even years after the fact. In 2017, 11 million properties in the United States alone were affected by hail and racked up a national bill of $1.7 billion in property damage. On a local level, some states saw more than half of their properties damaged by falling hail including Kansas at 57% and Oklahoma at 55%. Though hailstorms happen frequently, our current system of predicting risk and assessing damage falls woefully short. Coming in as one of TechCrunch’s favorites from Y Combinator’s 2019 Winter Demo day, WeatherCheck helps take the guesswork out of weather damage. Co-founder and CEO Demetrius Grey speaks about his business’s involvement in Y Combinator’s winter 2019 Demo Day as a ‘once in a lifetime opportunity.’ Garnering much well-deserved attention, WeatherCheck is doing what has never done before by tackling the concerns that arise from some of the most unpredictable yet destructive forces on Earth: the weather itself. Over the course of 2017, extreme weather caused $330 billion in global property damage and resulted in over $135 billion in insurance claims. In the last thirty years, the average number of global natural catastrophes has grown by nearly 175%, with hailstorms, in particular, hitting more frequently than ever. Compared to other types of weather damage, hail is among the most destructive, and it can also be the most challenging to predict. Hail can happen anywhere. Born from updrafts during thunderstorms, water droplets fuse together in the lower parts of storm clouds, held aloft and growing in size by powerful winds until the frozen droplets become too heavy and begin dropping to the ground. Falling at speeds sometimes greater than 90 miles per hour, exposed cars, unprepared roofs, and even our own heads may become victims of these pea-sized to softball-sized ice chunks. Risk increases exponentially with the size of the hailstones themselves, by the time they reach 1.5 inches or more, property damage is almost a guarantee. Occurring globally once every 7-9 days and amounting to thousands of instances every single year, hailstorms are among the most unforgiving of weather events and the need for insurance and reliable prediction is only growing. WeatherCheck allows insurance agencies to gather the right local data they need down to specific street addresses to assess the potential risk for hail careering out of the sky. 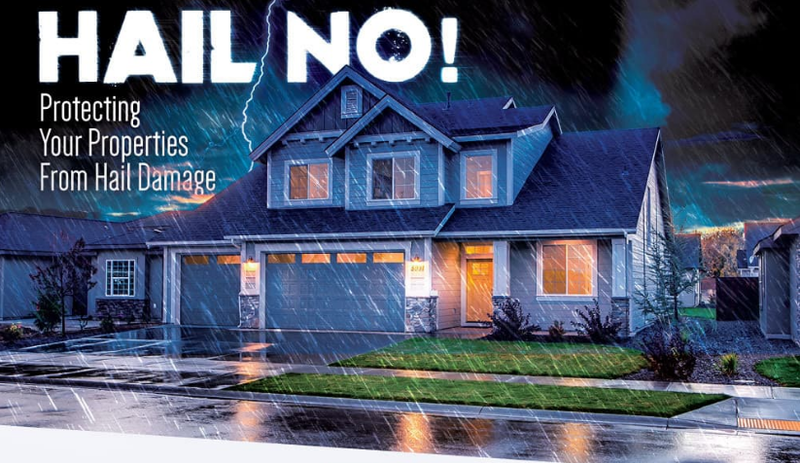 As the Internet of Things capabilities continue to move forward, insurers can look to AI to monitor both properties and incoming storms, in turn, giving them opportunities to precisely quote for coverage and recommend best practices for homeowners living in high-risk hail areas. Though the weather can always turn without warning, high-tech tools to keep us safe and prepared will help us predict risk, mitigate damage when it does occur, and be ready for it in the future. Here’s how WeatherCheck is making it possible.